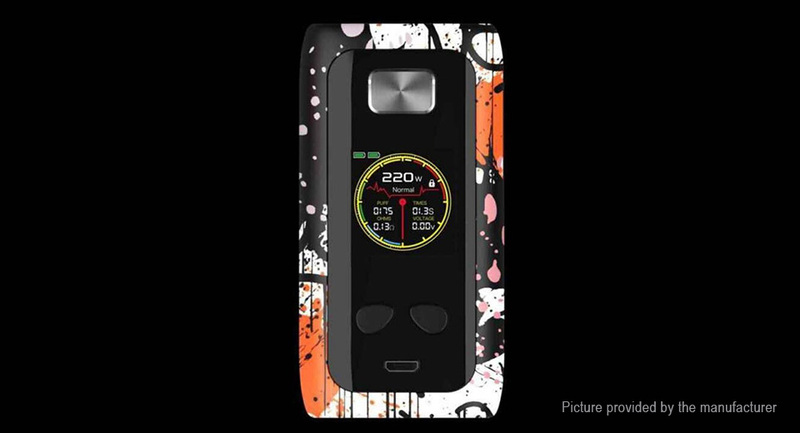 Think Vape Thor Pro mod is a light weight box mod with ergonomics and high-performance functionalities. Constructed by ABS material, the box mod features a refined curvature structure that&apos;s comfortable to hold in-hand with ergonomically placed adjustments buttons and 1.3 inch TFT display. Powered by dual 18650 battery (sold separately) with the advanced Chip, the Thor Pro can fire up to 220W maximum output with rapid firing speed along with VW/NI/TI/SS/Bypass Mode.